The kegs need a little tune up every once in a while. What else do you use to rebuild Corny Kegs? Replacing old/worn parts on keg. reconmended in the description of the used keg. Because that used keg will probably need these! Just to have them on hand. always good to have a few extras on hand when you might need to replace a gasket on a leaky keg! can you use these on slim torpedo kegs? BEST ANSWER: Yes you can. The torpedo kegs have standard ball lock fittings. I’ve only used this for the traditional soda “corny” kegs. But the pin lock fittings should be the same style as the new torpedo kegs. I can’t guarantee that they will fit, but I don’t see why the torpedo manufacturer would change the standard size opening. Yes John, The rebuild gaskets are good for all ball lock kegs. The white lid ring seals better than the black harder ring used previously. I rebuilt a used keg with this kit. The o-rings fit and the keg holds pressure. Everything seen was included and in new condition. Good website, quick shipping, value priced. Rebuilt my kegs with these kits. Perfect airtight seal. Great value. All the gaskets fit and worked perfectly. Nothing worse than losing those little o-rings. These come in a sealed bag. 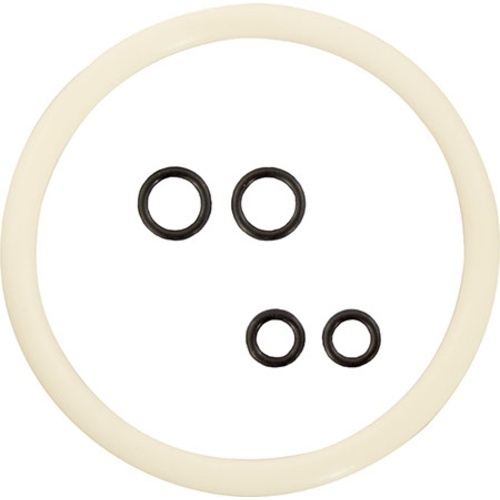 I clean my kegs religiously and the gasket kit has helped. I like to have a lot of extra on hand just in case I feel like I need to change a o ring out. Must have if your using corny kegs. NEVER CAN HAVE TOO MANY BACKUPS! I always make sure to have a spare set on hand just incase of leaks. ALWAYS GOOD TO HAVE AN EXTRA 1! ALWAYS GOOD TO HAVE AN EXTRA ONE ON HAND! I always make sure to have a spare just in case of leaks. Rings that usually go are the gas post lines. I always change those out every time I clean and transfer in a new beer. THINK AHEAD AND BUY AN EXTRA SET TO HAVE ON HAND! Exactly the first aid kit you need for a corny kegging operation. These are great to have spares of. Use to replace on used kegs or just to switch out after a lot of use. If you keg beer, this cheap kit will/could save your tush. I keep one for each keg. Ever have an "o" ring blow out? gasket kits are great - takes the guess work out! Great kit to refresh a funky craigslist corney! I always try to have a spair set on hand just incase of leaks and these do the trick. This is every o-ring you need when rebuilding old kegs. If you buy used kegs, you should be putting this kit on every time and there is no where you can find it for cheaper. Good product at a good price. There's nothing worse than finding out that your keg can't hold pressure *after* you've filled it with fresh beer. I make it a point to change out the o-rings at least once a year, if not twice. Keep a couple of these kits on hand and you can do it while you're waiting for hop additions.